Audrey Speer was born in Mill Spring, MO. December 10, 1923 to her parents Dora New Year and William Lee Moss. She was married for 63 years to Herman William Speer, when he preceded her in death. She had three brothers, William Loyd Moss, Robert Jackson Moss and Noel Lee Moss and one sister, Pearl Enid Bryant, all who preceded her in death. She was also preceded in death by her grandson, Robert Alan Brannan and her son, Herman Dale Speer. She leaves behind her children, Helen King (Bill), Elsie Speer, and Dennis Lee Speer (Nancy). She has ten surviving grandchildren, Alicia Hull (Guy), Donna Janigo (Vincent), Dian Renee Butler, Shiela Griffen (Dale), Debra Kay Hake (Ken), Kevin Dale Speer, Steven Dale Speer (Jill), Angela Hagith (David), Krista Marcy (Kendal), James Warren. She has sixteen great grandchildren, Sandy Emerson Hull, Chelsie Penrose (Ryan), Nicole Hull, Jordan LeBlonde, Hayden LeBlonde, Sara Elizabeth Braunstein, Kevin Daryl Taylor, Clayton Brannan, McKenzie Brannan, Cory Speer, Jarrod Speer, Andrew Speer, Tad Speer, Dalton Marcy, Gavin Marcy, Brooke Griffen, Brayden Griffen. She also has five Great great grandchildren. 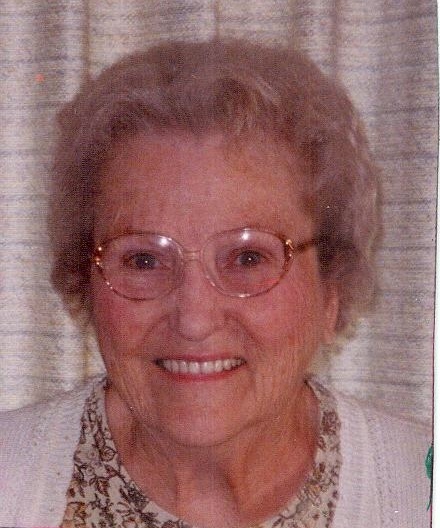 Audrey worked 36 cannery seasons in Oroville and enjoyed the luncheons she had with her cannery buddies after she retired. She loved her family and grandchildren and having wonderful feasts in her home on Christmas Eve, Christmas Day, Thanksgiving and Easter for them. She enjoyed attending church and loved the Lord. She wrote many stories and songs and would sing the songs in her church. She enjoyed vacations to visit family and friends in Missouri, mostly RVing. She enjoyed winters in Arizona with friends. She enjoyed cruises. Audrey was a happy person, really enjoyed life and anyone who knew her was blessed.